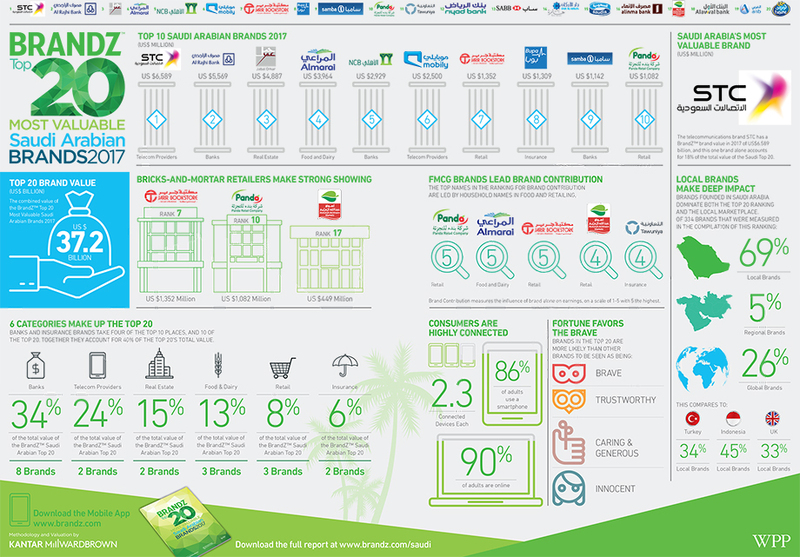 The BrandZ‚Ñ¢ Top 20 Most Valuable Saudi Arabian Brands report has been released by WPP and Kantar Millward Brown to coincide with the inaugural NEXT PowerBrands Festival KAEC. Ranking at number one on the list is STC – the kingdom‚Äôs leading telco and an organisation with which Turquoise worked extensively to refine and refocus their brand. These rankings are the first of their kind for the region and have been determined using the BrandZ‚Ñ¢ formula; combining consumer perception with financial analysis to determine overall brand value. The NEXT PowerBrands Festival KAEC was created to provide a platform to showcase the best of Saudi Arabia‚Äôs marketing talent, and to elevate awareness and understanding of how important the value of brands are in reshaping the economic future of the kingdom. Turquoise Branding is especially proud to have been involved with the NEXT festival as part of the NEXT Markathon experts panel, as well as being the creators of the NEXT brand identity. Charlie came to Turquoise as a fresh-faced graduate, and has now been working here for six years. During this time, he has worked across a range of briefs crafting logotypes, brand properties, retouching and visualising projects for clients including OSN, BDB, STC and Tele2.